Susan has been teaching and dancing American Tribal Style® (ATS®) bellydance since 2007. She attended her General Skills certification in Milwaukee, WI in Nov 2008 and Teacher Training 1 and 2 in Milwaukee, WI Nov 2009. She acquired her FatChanceBellyDance® Sister Studio status shortly following her teaching certification. Since then, Susan moved to Kansas City, MO and has joined the local bellydance community. She teaches ATS® classes and hosts community events. 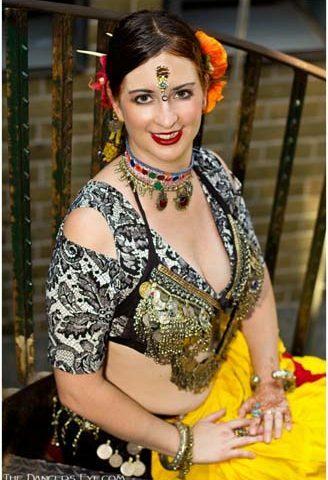 In 2014, she helped host FatChanceBellyDance’s® GS and TT certification course in St Louis, where she re-certified. Susan also auditioned for and was accepted into an exclusive Advanced Teacher Training course in San Francisco in June 2015 and became certified as a Sister Studio Continuing Education Instructor.